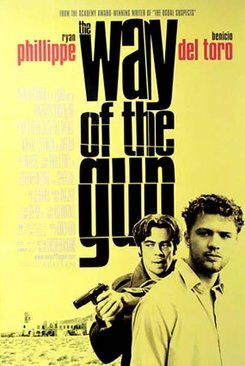 If you’re a guy and it’s been years since you’ve seen a great “guy movie” - do yourself a favor and watch “The Way of the Gun”. The movie is a “kidnap” or “heist” film of sorts… Benicio del Toro and Ryan Phillippe kidnap Juliette Lewis who is the surrogate mother of a rich married couple. The film turns into a 2 hour long stand off of sorts… and it kinda plays out like a modern western. Dialogue is kinda sparse but not in a bad way.